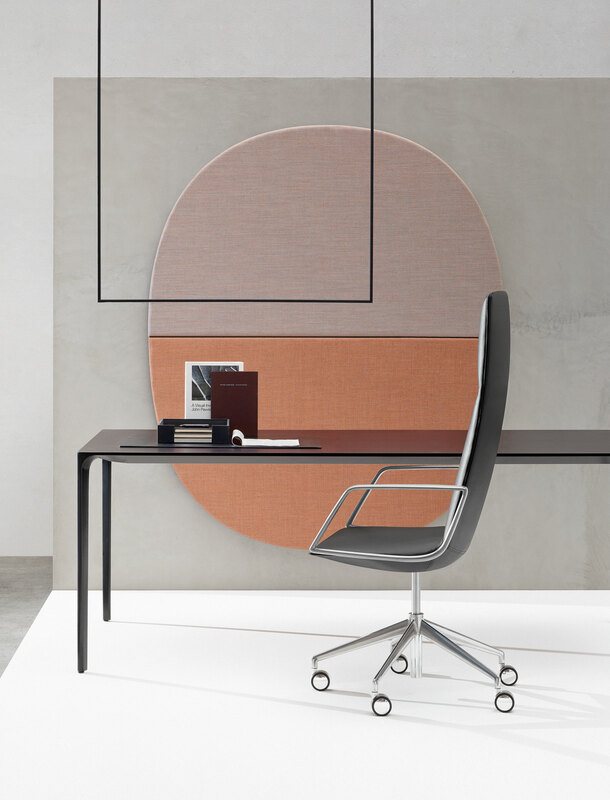 "Introducing Kinesit, Arper’s first office chair that stands for Arper’s approach on Soft Tech. 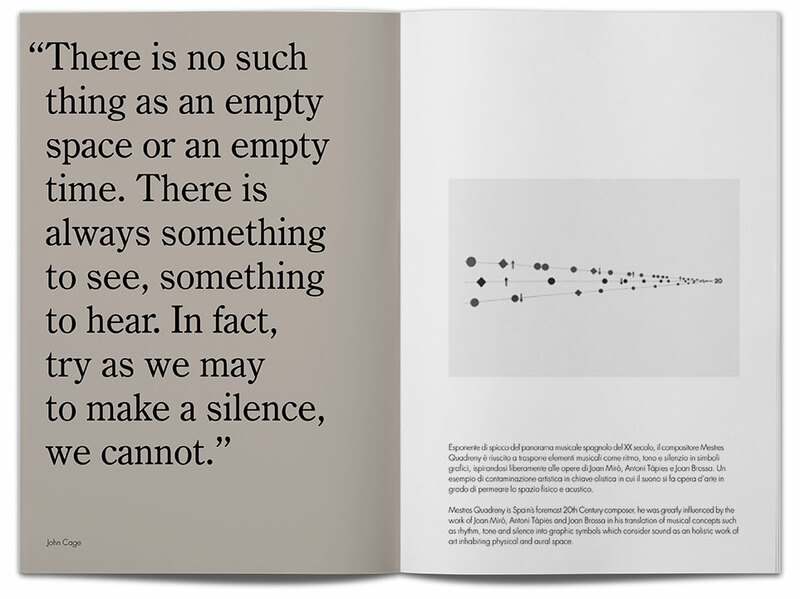 It integrates technology from a holistic perspective: for what and for whom is the object? 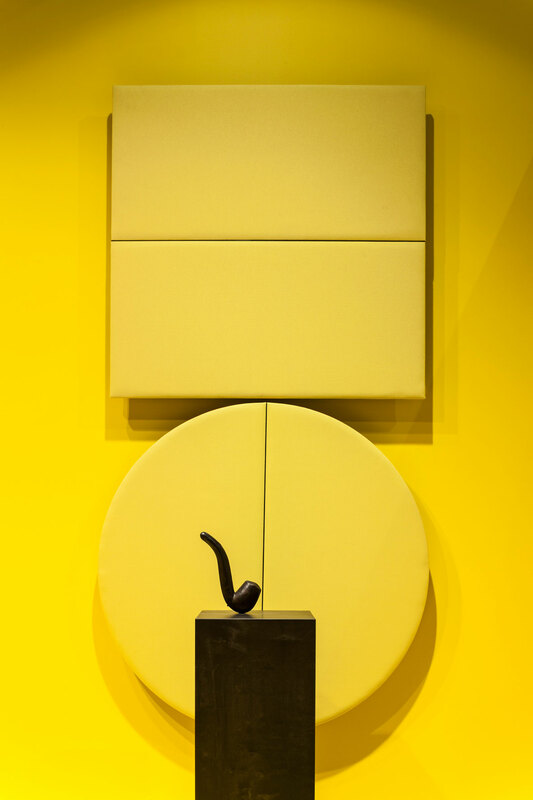 Engeneering fuses seamlessly into the object so that all we are left with is experience. 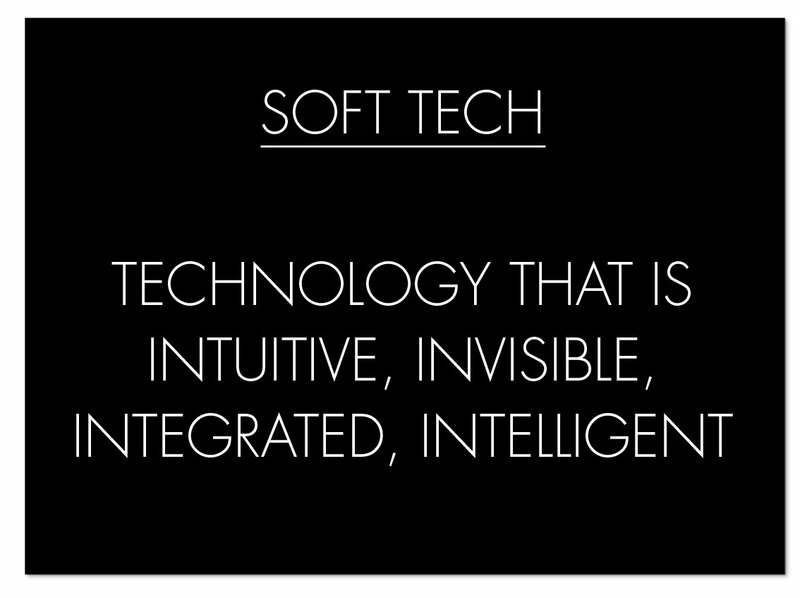 Soft Tech leads to an end result — not is the end result. 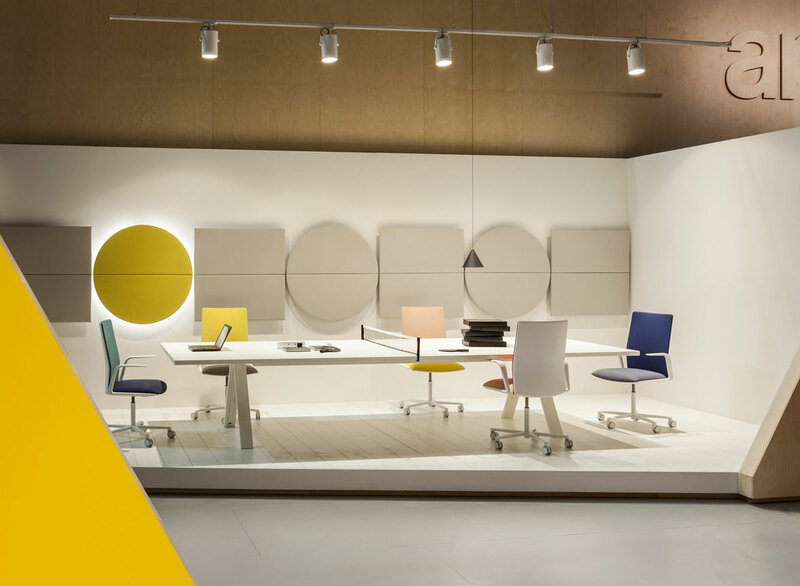 Kinesit is an office chair that simply looks like a chair, without any visible mechanism, yet one hundred-percent compliant with regulatory requirements. 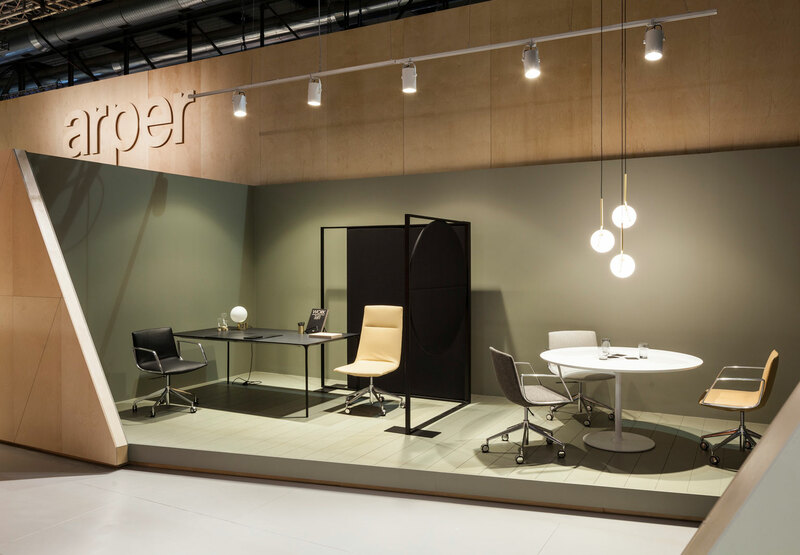 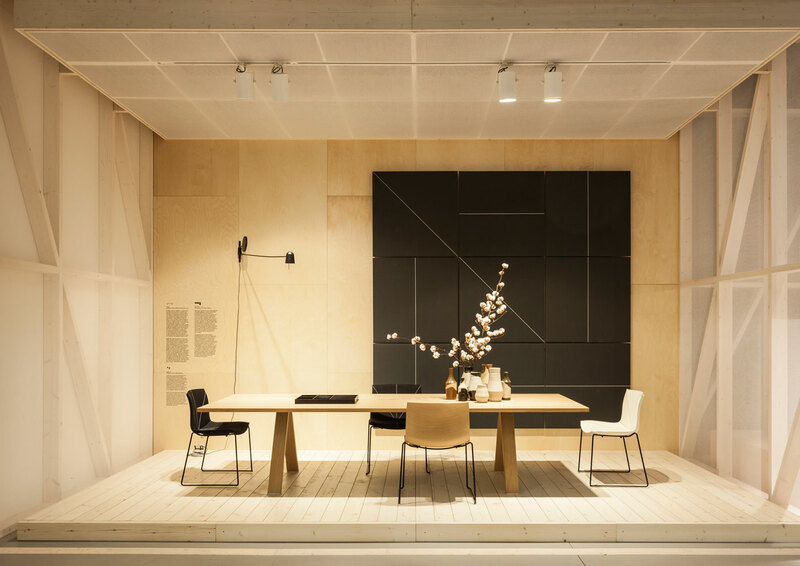 Light and minimal in design, the chair seat and back are fully adjustable allowing it to conform to individual body types for optimal comfort, even during more time consuming projects. 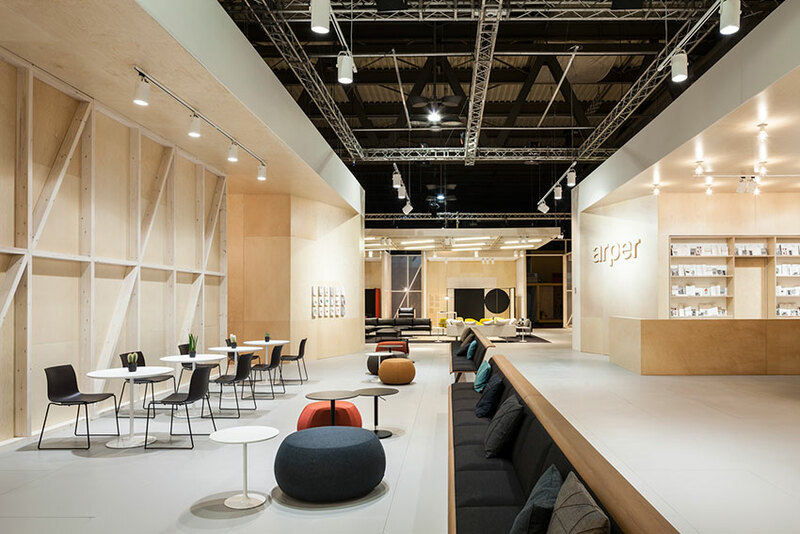 Innovationspreis Architektur + Office in the category "Produkte von hoher architektonischer Qualität"
Parentesit offers comfort for contemporary shared spaces. 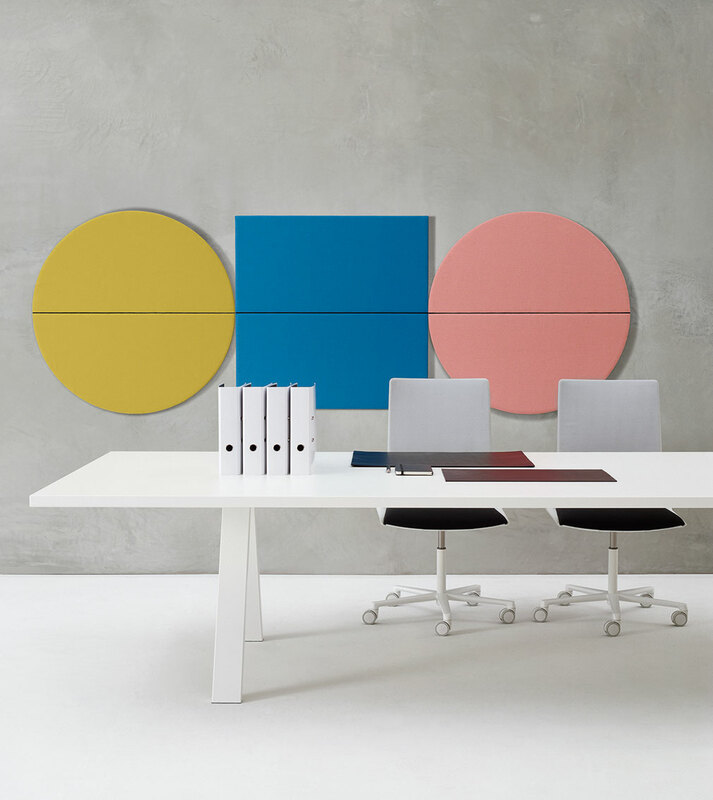 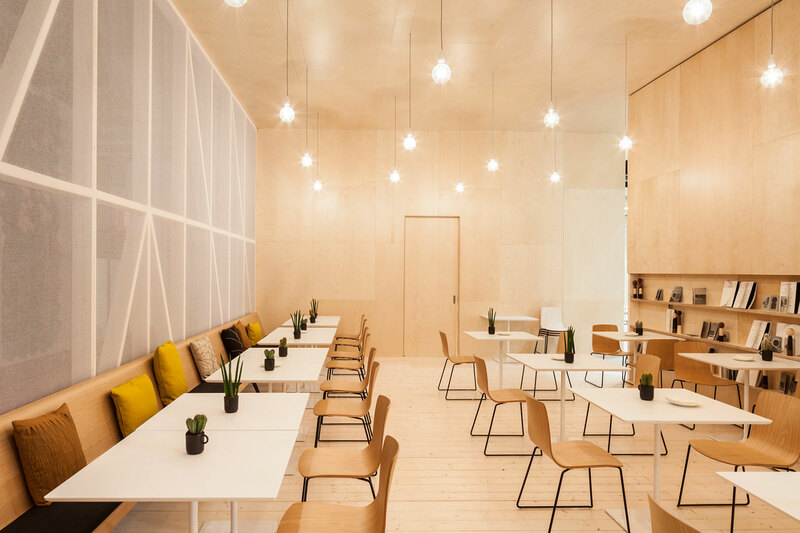 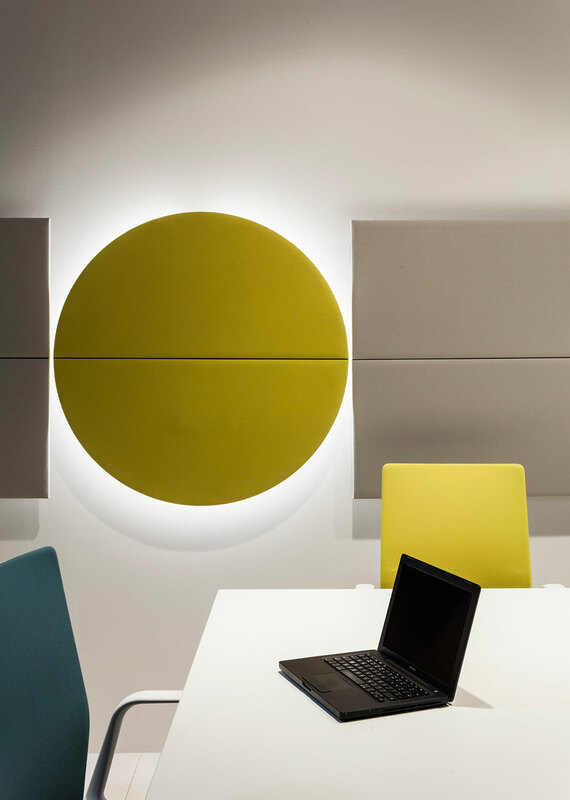 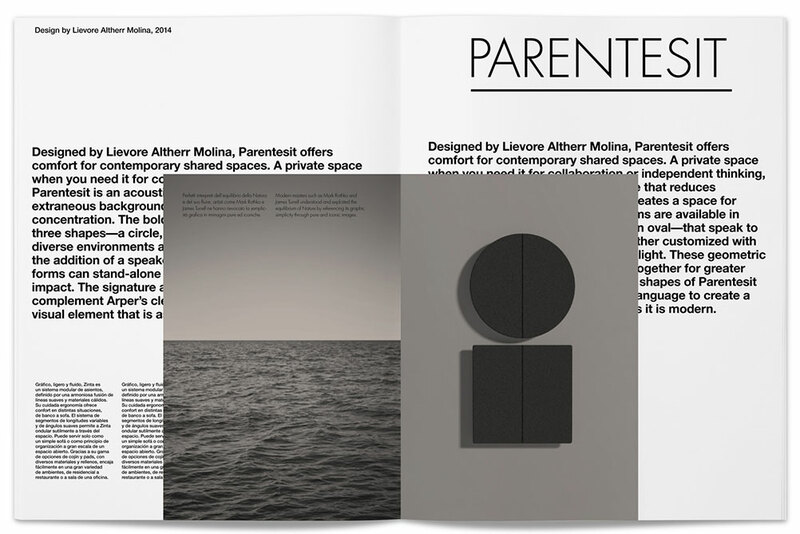 A private space when you need it for collaboration or independent thinking, Parentesit is an acoustic wall module that reduces extraneous background noise and creates a space for concentration. 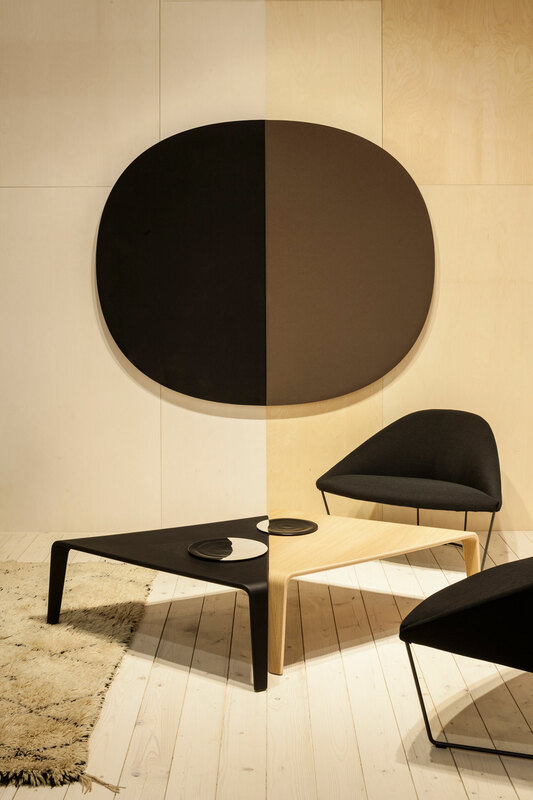 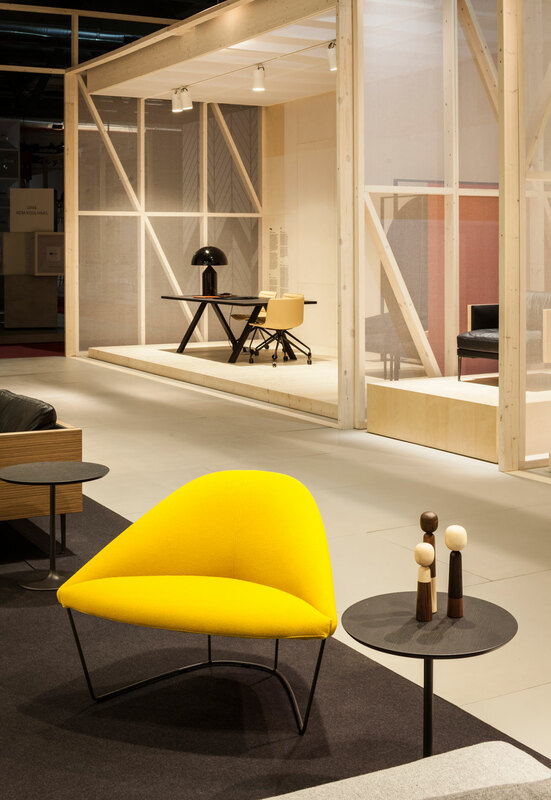 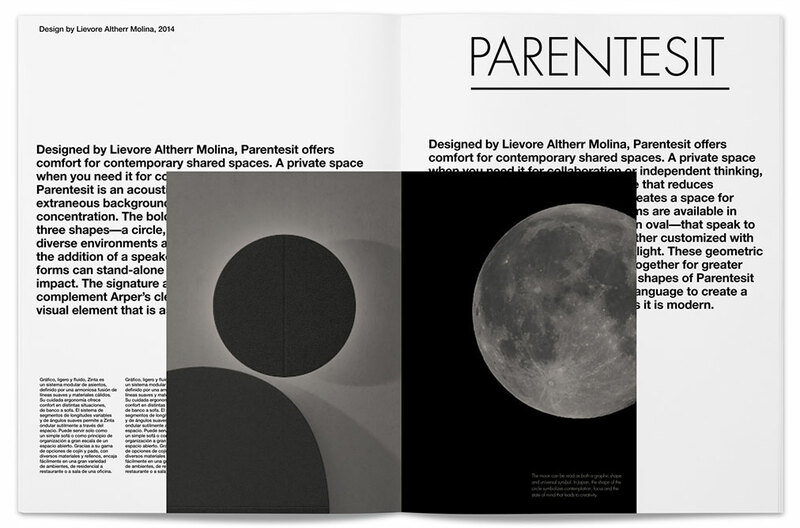 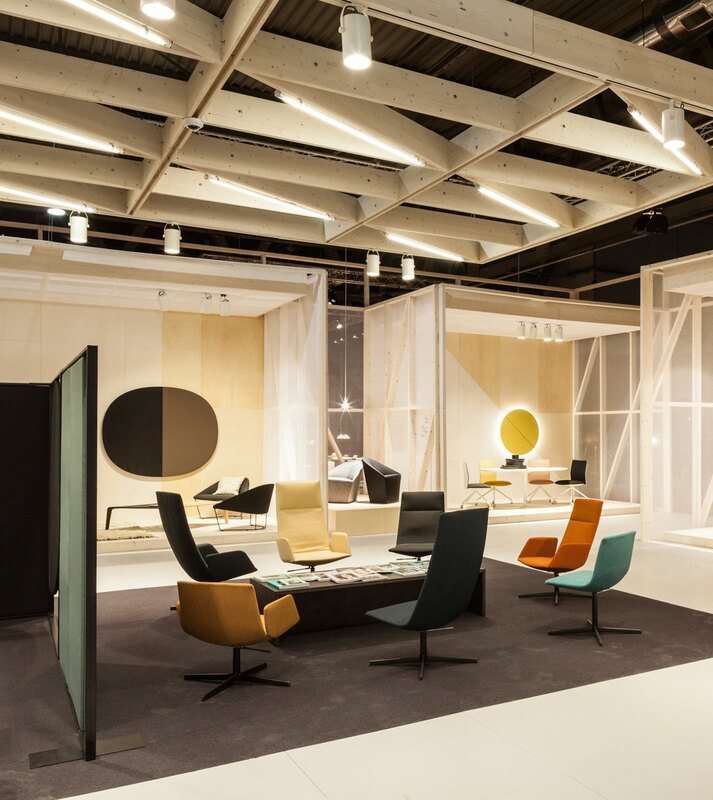 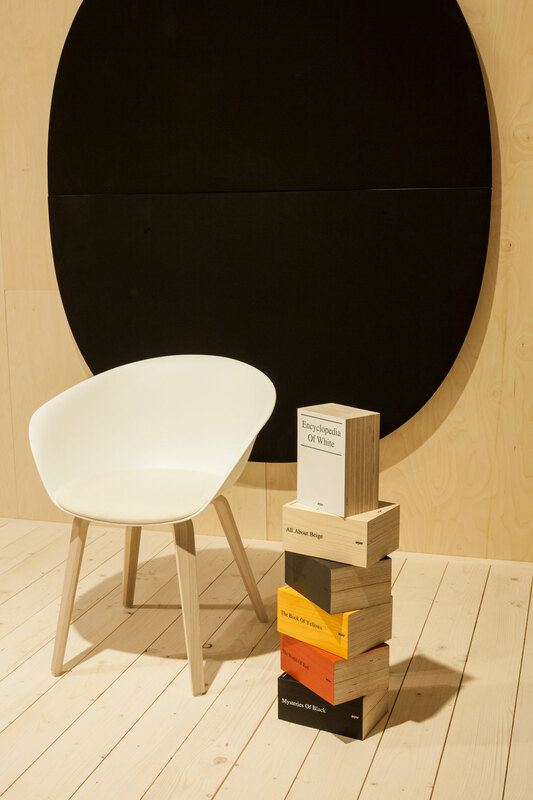 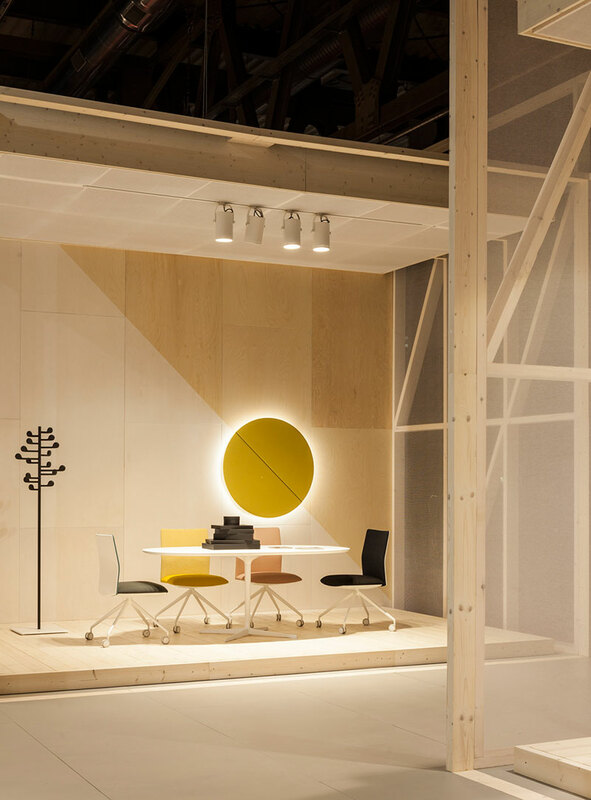 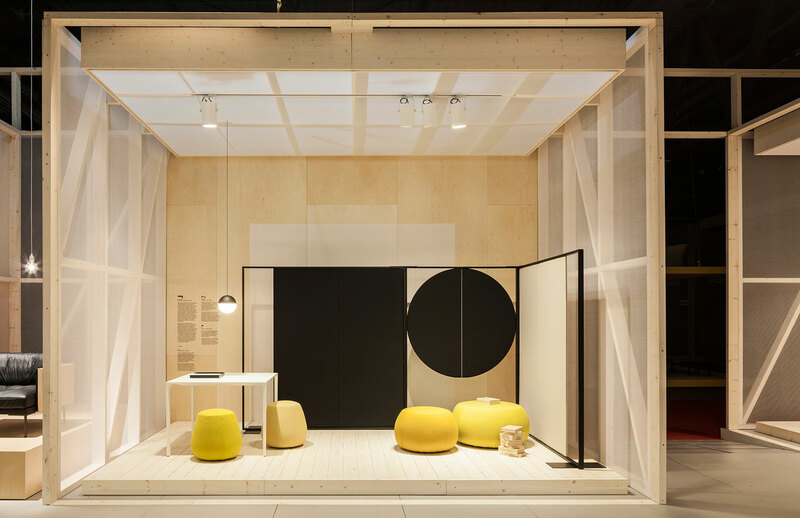 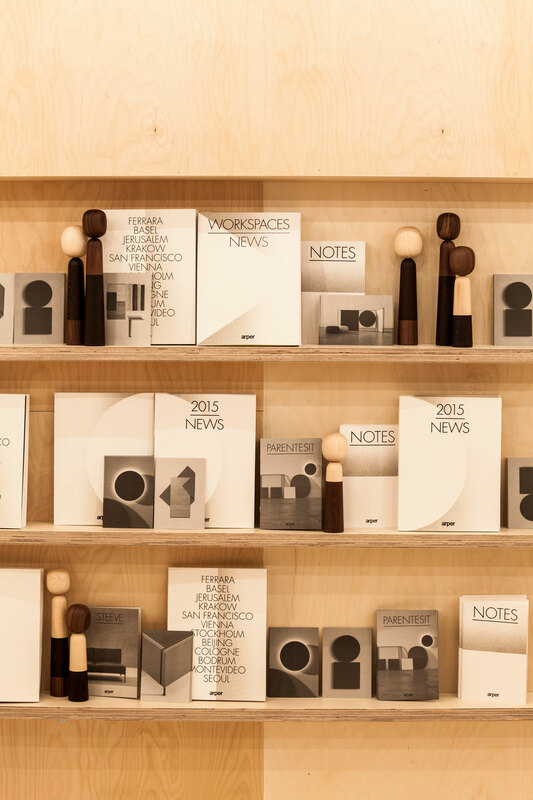 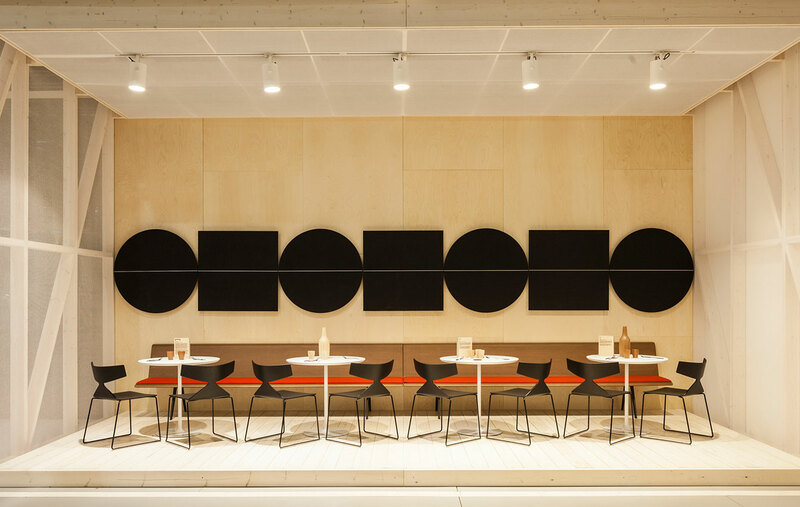 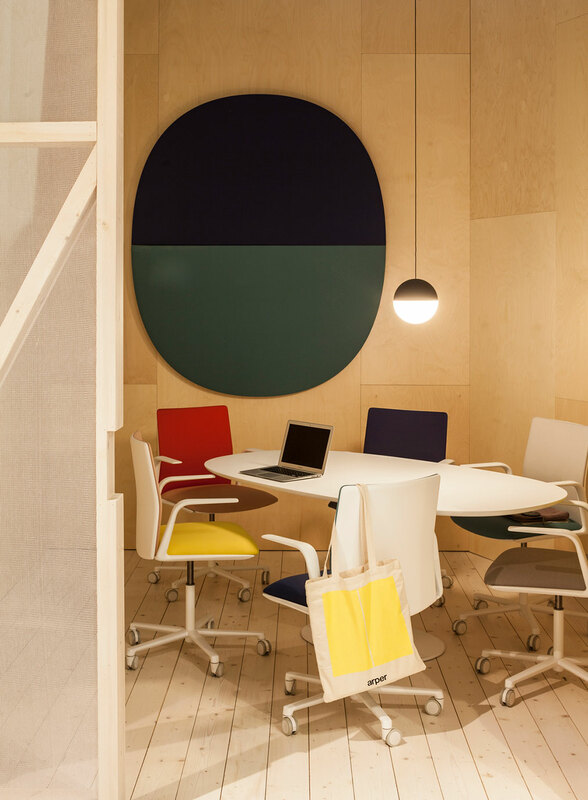 The bold, graphic forms are available in three shapes––a circle, a square or an oval––that speak to diverse environments and can be further customized with the addition of a speaker or ambient light. 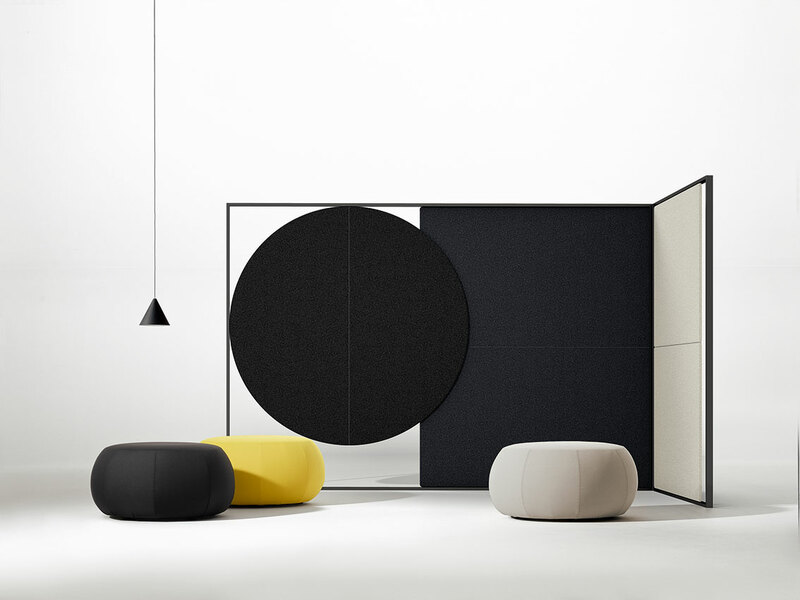 These geometric forms can stand-alone or be paired together for greater impact. 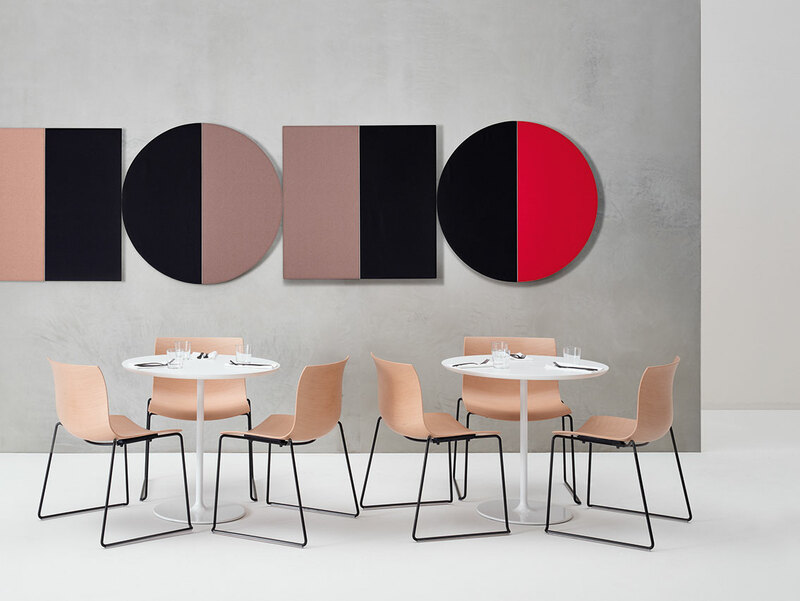 The signature and elemental shapes of Parentesit complement Arper’s clean, minimal language to create a visual element that is as functional as it is modern. 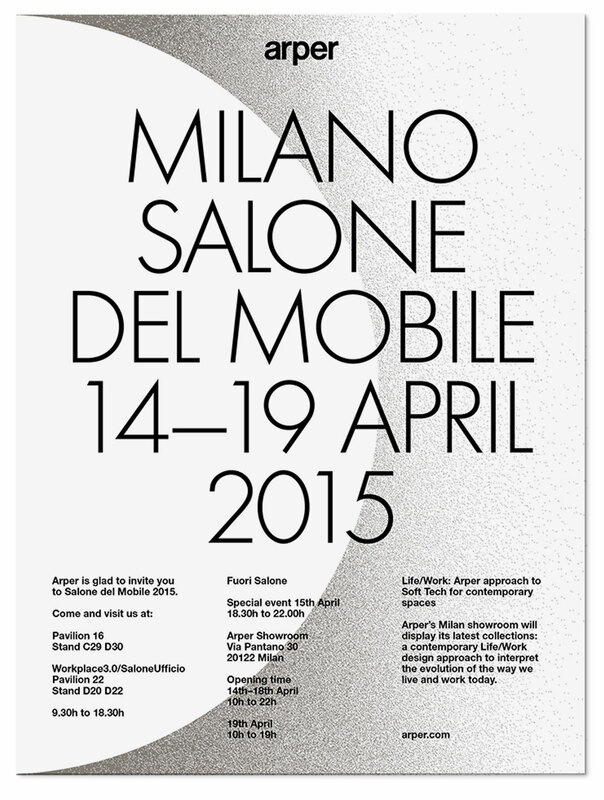 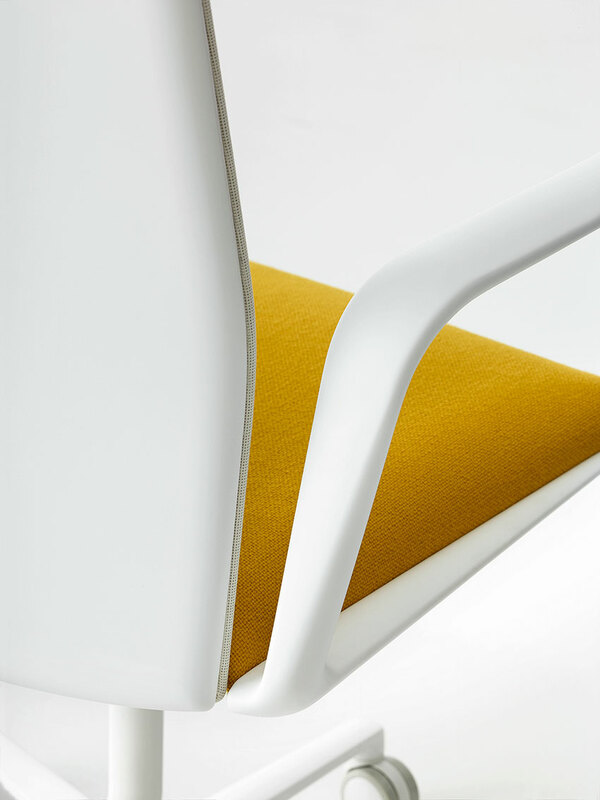 Like a soft, enveloping flower, Duna’s shape is evocative and contemporary. 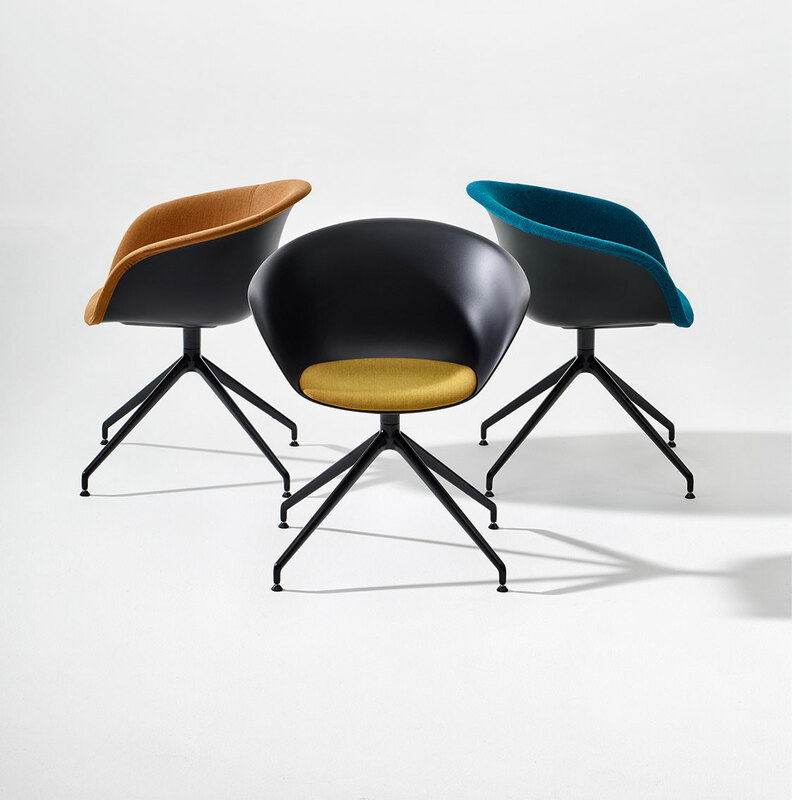 Born fifteen years ago, its iconic silhouette still sets it apart as a design classic, ripe for reinvention again and again. 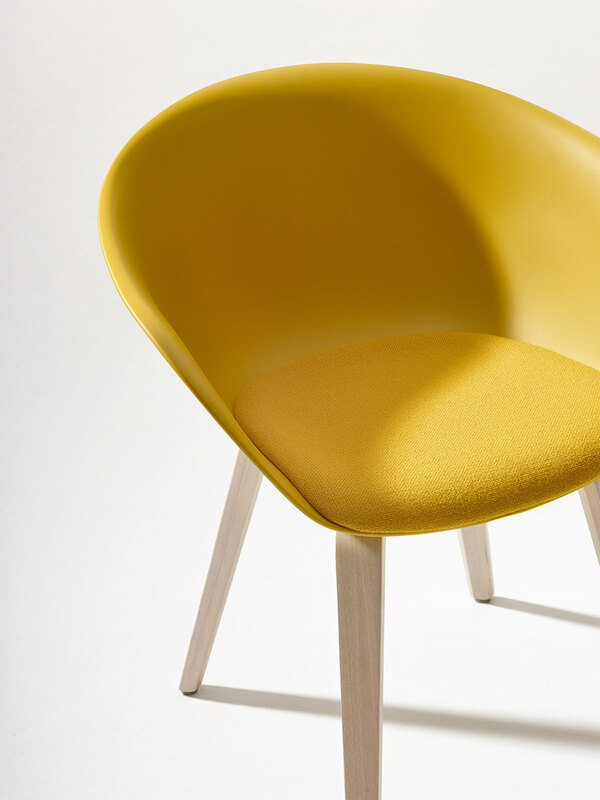 New plastic shell fabrication available in a new range of colors in polypropylene allows for a thinner, sleeker profile, a more delicate curvature and more sumptuous surface. 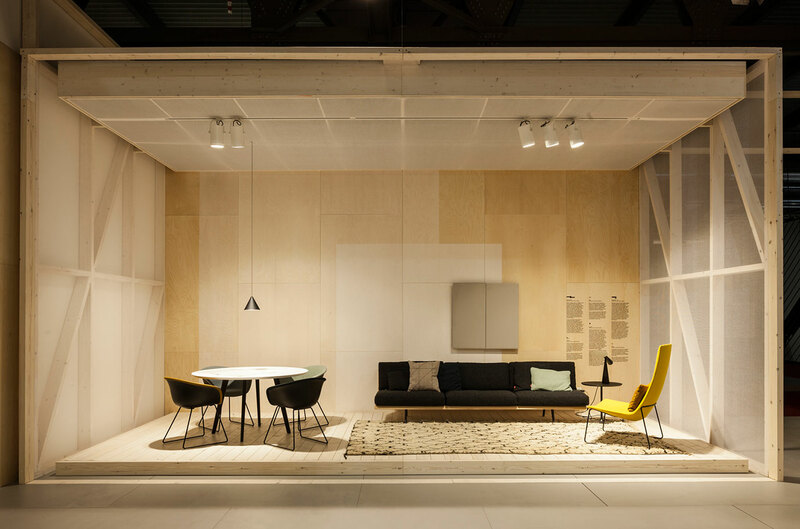 Together with the fully upholstered version, today Duna 02 is also available with a fixed front face upholstery and with an accessory seat cushion. 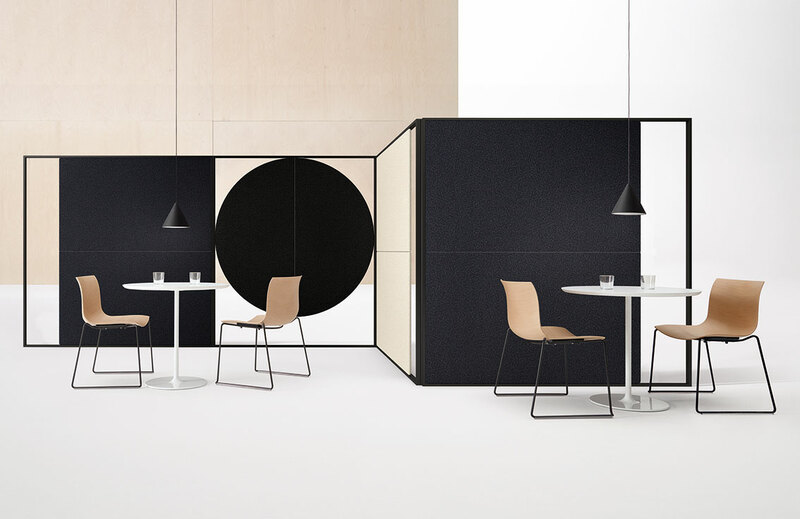 Duna’s line is complimented by the addition of wooden legs, giving this contemporary yet classic piece a softer sensibility for home or hospitality spaces. 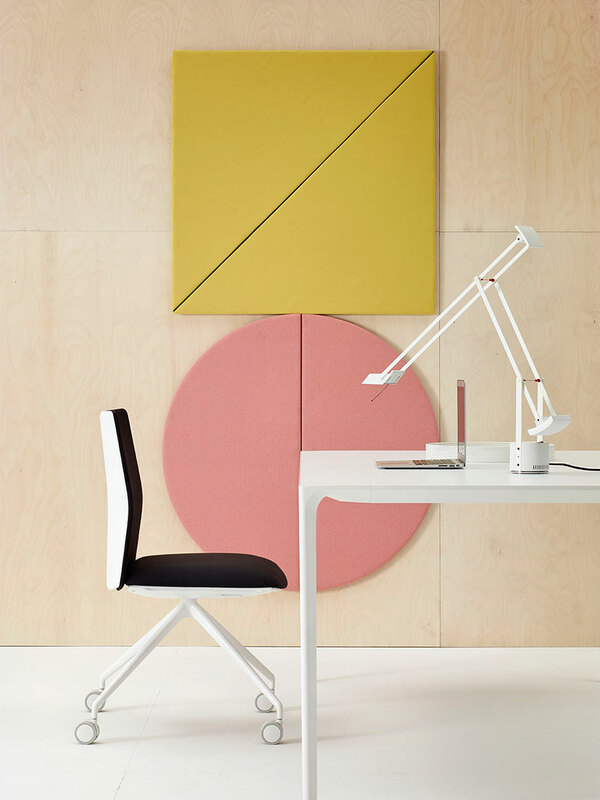 The Catifa Sensit offers the comfort of a traditional office task chair without the bulk of visible technology. 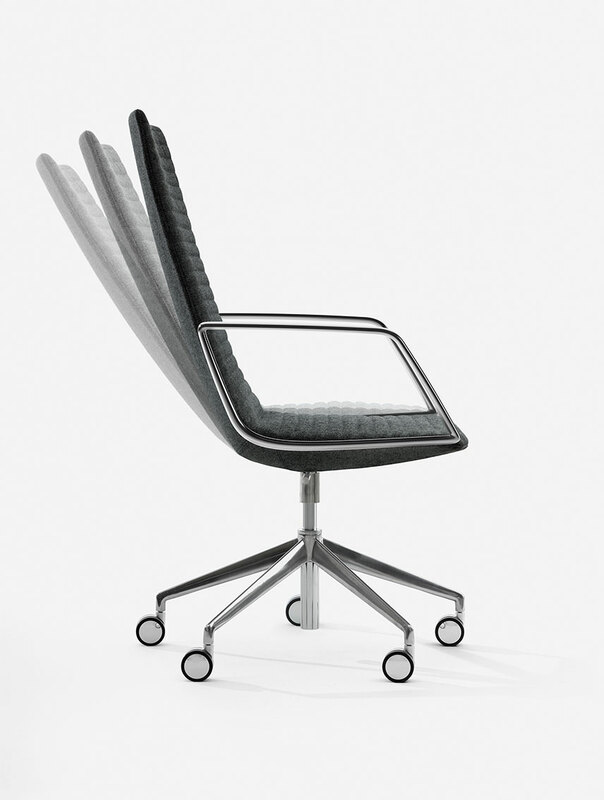 An integrated mechanism in the back of the chair synchronizes movement, allowing it to seamlessly incline, relieving pressure on the lower back and offering full ergonomic support. 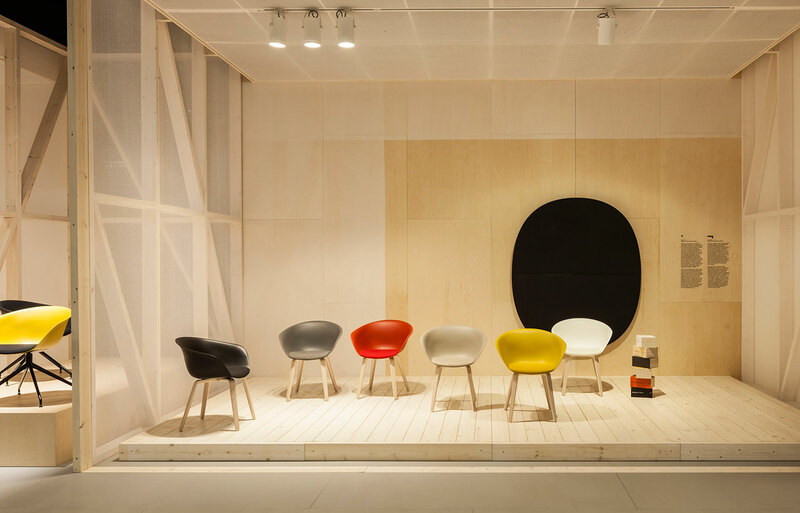 The Catifa Sensit Chair is an enduring contemporary silhouette re-imagined for both home and work environments.